A Florida motorist said she suffered from a “medical condition that makes her age faster” when a suspicious cop questioned her claim that she was 22, according to a police report. Upon spotting a Ford Ranger with inoperable tail lights, an Indian River County Sheriff’s Office deputy pulled over the pickup Saturday night and asked the driver for her license, vehicle registration, and proof of insurance. The woman “said she did not have her license because she forgot her purse,” according to a police report. The 43-year-old Crosby, pictured above, was then arrested for driving on a suspended license and providing a false name. 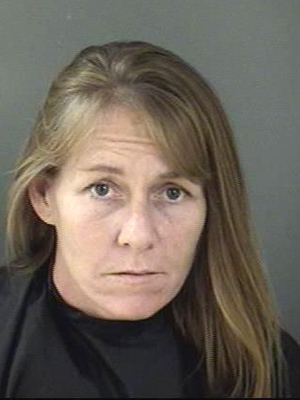 The Vero Beach resident was booked into the county jail, where she remains locked up in lieu of $4000.